Join A Jazz Choir – Rehearsals Begin September 22! SINGERS ARE INVITED TO JOIN DC’S PREMIER ADULT JAZZ CHOIR & WORKSHOP! Register today – rehearsals begin September 22, 2015. Gifted amateur and semi-pro vocalists are invited to share their musical gifts in a jazz choir and workshop directed by Wayne Wilentz, one of DC’s top jazz musicians and vocal coaches. If you’d like to sing and swing under expert direction, Capital City Voices has a place for you. Meet new friends, network with other musicians and enjoy plenty of opportunities to perform in public. For the past five plus years, Capital City Voices has lent its swinging harmonies to concerts at Blues Alley, Twins Jazz, The New Deal Cafe, Jazzy’s Lounge and more. Our new season is starting, and this is a great time to become a member. Men and women aged 16 and up are welcome to join. Singers of varying experience are accepted. 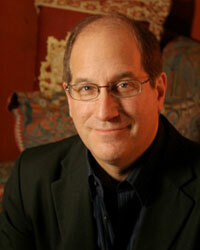 Musical Director Wayne Wilentz is an acclaimed pianist, arranger and composer, and music educator. The leader of the celebrated vocal group, Cloudburst, Wayne is also the holder of a Gold Record from his 80’s work with the R&B band SKYY. Vocalists up and down the East Coast covet time spent with Wayne as their record producer or coach. Imagine WEEKLY sessions with him! 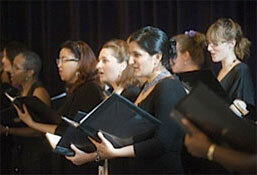 Schedule & Tuition: The choir/workshop meets weekly on Tuesdays from 7:30 – 9:30pm. Tuition is $135 per month (major credit cards, PayPal and checks are accepted). Location: We hold our classes in downtown Washington DC (900 Mass. Ave, NW). We are near Metro and free parking, and are centrally located. It’s time to share your gift. For more information and registration, call director Jeff Antoniuk at 443-822-6483 and visit www.CapitalCityVoices.com. Contact us today. Enrollment is limited and many spots are already filled. Capital City Voices is an educational project of Jeff Antoniuk Music (JAM). Other projects include Jazz Band Masterclass, inDepth Jazz Clinics and Maryland Summer Jazz.